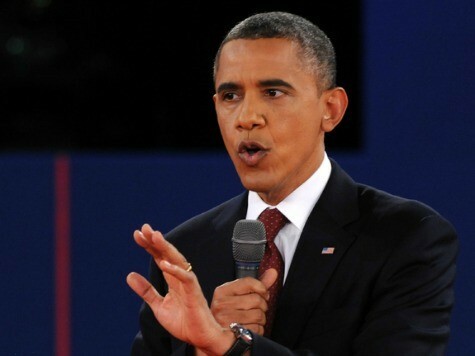 Some have observed that the importance of the debates is that they allow voters to view the candidates’ “style vs. substance.” After Tuesday night’s presidential debate, it seems President Obama is going for a “lying” style while still opting for no substance, an approach that certainly brings into question his competence. A continually spinning theme that seems especially important to members of the Obama administration is the one that they apparently believe will deliver the all-important “women’s vote.” According to President Obama and his party, the women of this country–766,000 more of whom, by the way, are unemployed since Obama took office–are not too concerned about the economy, jobs, or the high costs of food and gasoline. They’re worried, instead, about where their next birth control pill is going to come from, and whether they’ll be able to buy condoms again this month. Fortunately for the president, a young woman, who hardly looked old enough to have experienced much unequal pay for women in the workplace, asked the question during the debate that allowed Obama, though rather clumsily, to build the bridge to the monumental contraception issue. After all, unequal pay for women easily translates into contraception in everyone’s mind. As if this condescending characterization of women in this country by Democrats is not insulting enough, Barack Obama and Joe Biden have brought their lies to American women to a whole new level. During the debate on Tuesday evening, the president again lied that if Republicans defund Planned Parenthood, women will lose out because they will not be able to obtain mammograms. If moderator Candy Crowley felt it was her job to “clarify” the candidates’ remarks during the “Libya question,” where was she during this lie? As Breitbart Editor-in-Chief Joel Pollak notes, the idea that Planned Parenthood provides mammograms is totally false, and has been shown to be false by many media outlets. But, when lying’s your “style,” who cares? Hmmm. This statement by the vice president seems to conflict with Planned Parenthood’s own reports that it performed 985,731 abortions in just three years from 2008 through 2010. Even if we give Biden the benefit of the doubt that, in his gaffe-prone way, he was trying to convey that Planned Parenthood cannot legally fund abortions with federal subsidies, this still gets us to the concept of “substance.” If Joe Biden, after all, is confused by the actual policy, he is not competent to be a “heartbeat away” from the presidency. If he chooses not to speak the truth, however, because he is fearful it will negatively impact the race, he is a liar. Similarly, we already know that the Obama administration relies on the main-stream media to do its spinning, but now we have Obama, on record for eternity, openly calling upon moderator Crowley for help on his “Libya issue.” Obama needed Crowley to help him prove his lie that he referred to the murders of our ambassador and diplomats to be a terrorist attack right from the get-go. The fact that she completed the assist is another issue, equally disturbing. Obama, nevertheless, in his typical high-horse, arrogant manner, feigned being “offended” by Romney’s characterization that his administration is not only covering up the events that led to the assassination of our ambassador and diplomats, but also has not been treating the situation with the respect it deserves. However, if Obama and his administration have not lied about the attack, then the fact that it occurred at all is an overt sign of their incompetence in national security and the protection of our diplomats. Either way–liar or incompetent–Obama is a loser and, by extension, so is the nation. During Tuesday night’s debate, President Obama portrayed himself as a pro-growth, pro-capitalist, pro-small business, pro-fossil fuel tax-cutter who also happens to be a foreign policy hawk. Apparently, he is also a wiz of an economist who alone is able to comprehend that if the price of gas is $1.80 per gallon, the economy is in trouble. If this portrayal of himself is not true, then Obama is a liar. If he believes that he does indeed hold these positions, then why is his liberal base still with him? Surely, these are not liberal positions. For the rest of us, however, the last four years demonstrate that he has nothing–no substance–to show for himself in any of these areas. Therefore, if he is not a liar, he is incompetent. Either way, Obama makes America a loser. We should all be exhausted from having to analyze the motives of this president and his administration. It’s clearly time to move on to a simpler way of life.